Writing is rewriting. Like most writers, I do my best to apply this old adage, even though redrafting, revising, and “killing my darlings” often means a bruising battle with my ego. However, I recently discovered a pain-free way to rewrite: time. Time not only heals all wounds; it also anesthetizes the ego. This is no secret. Everyone knows that stepping back from your work is a great way to freshen perspective. But in the past, taking time meant taking a day, a week, in some cases maybe a year or two. When my son, a college music major, offered to write the music for a script I had written back when I was his age, though, I had a chance to step back on a grand scale. 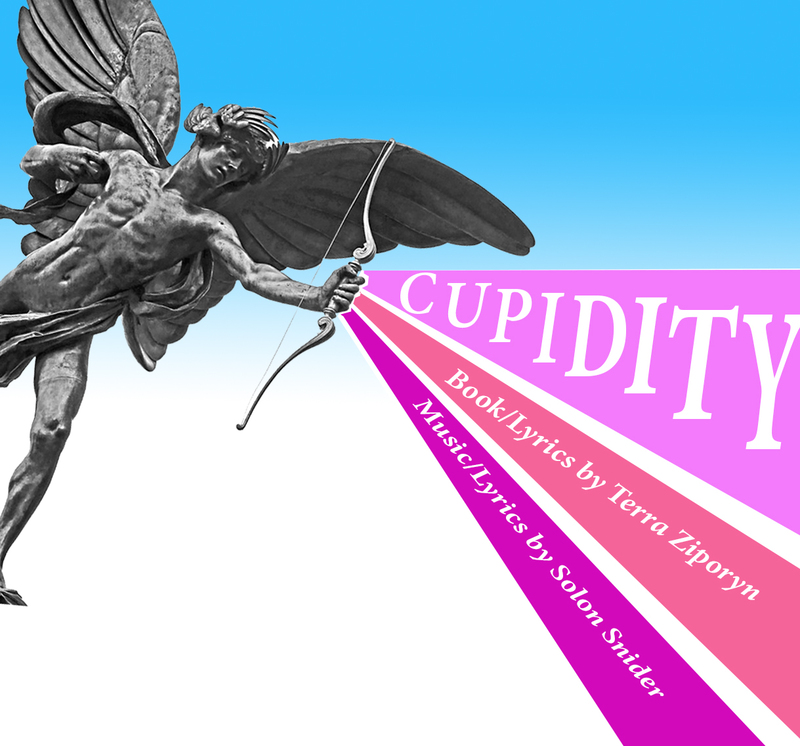 Back in the dark ages (and I’m talking the late 1970’s), I had written the book for a new musical based on the myth Cupid and Psyche. The problem was, to write a musical, you need music, and I never found a student composer who wanted to collaborate. Years passed, I graduated, even joined a musical theater workshop in Chicago, but failed utterly in my attempts to find a composer interested in bringing this project to life. My son had rebuffed me in the past, too. I had originally thought I was handing him a gift by offering him a ready-made exercise on which to test his creative chops as a budding composer. He ignored me. But somehow stumbling upon the story himself in class had sparked an independent interest in the myth, and he came to me and proposed we bring my yellowing script to life. This was a story I had written as a 20-year-old Yale student about a mother and her 20-year-old son. Now my own son was a 20-year-old Yale student and asking to do this with me. How could I say no? The catch, though, was that I was going to have to do some work. Not only was the book the product of a me that no longer existed, but in the nearly forty years since I had written it, someone else had written a musical based on this myth. 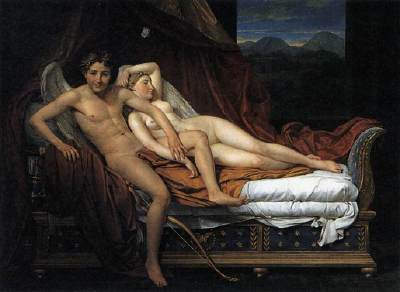 In fact, CUPID AND PSYCHE opened off Broadway at the at the John Houseman Studio Theater in 2003. So if we were going to finish this musical and expect it to have even a shot a marketability, there was going to be rewriting involved—a lot of rewriting. We decided to bring the story into the 21st century, turning CUPID AND PSYCHE into CUPIDITY, Ancient Greece into Beverly Hills, and Venus into an aging movie star. I had to cut and transform characters, axe sour jokes and allusions from the late 1970’s, and re-create lyrics to fit with my son’s musical style and sensibility. I had to re-think staging possibilities and costume choices. I had to refresh diction not only to the new setting and characters but also to suit the ears of a 21st century audience. The surprise to me is how painless this whole process turned out to be. In the past critiques from others, especially editors or collaborators, had left me defensive. This time the emotion was gone. I wiped out entire subplots and characters without missing a breath. I cut songs, and transposed scenes. When a line sounded false, I cut it. Or changed it. And then changed it again. When my son winced at a lyric, I didn’t feel at all defensive, but just crossed it out and tried something else. With my creation gestating for all these years, I found that my attachment to it was virtually nil. So was my ego. I could finally look at the script objectively and see what needed to be done without feeling threatened or diminished. I could be my own editor, which is every writer’s dream. Of course, how well this discovery will serve me as a writer remains to be seen. I no longer have the time to wait another 30 or 40 years to revise my writing. Few writers of any age can afford that kind of wait; even if they themselves were immortal, most projects simply don’t have that kind of shelf life. We all have to find ways to refresh our eyes and numb our egos on a much quicker time-scale, often on-the spot. Still, seeing new life breathed into a work that was undeniably dormant, and arguably dead, for decades, has made me a true believer in the power of detachment. I feel newly prepared to go into battle with my next work and much more confident that I will live to tell the tale.